I basically agree with this entire article. However, the headline is ironically left unaddressed. So, why does the sport need more pay to play courses? As someone who is opening a pasty to play course in the spring. I couldn't agree more with what is being said. There is a need and a place for this in our sport. It will bring us much better facilities and events. The 2 courses at Smugglers Notch in northern Vermont (home of this year's Worlds) are head and shoulders above any other course in the area. It is 10$ for 18 and 15$ if you do both courses ( a season's pass is reasonable at around 100$). The paver tee pads, mowed fairways and paths lined with wood chips makes playing there feel like your at a ball golf course. They are constantly cutting, mowing and grooming the course. This is costly and difficult for municipal courses to do consistently. I love my local courses, but appreciate a day at Smuggs because of the care and maintenance. I like the idea of some pay to play and some "free for public use". There is room for both. If the city owns the course to your "public courses" they do make money off having a free course for the simple reason it's something to do in their area! If it is a privately owned course you most defiantly should pay money for the course!! Because mowing season comes around there's no telling when your public courses will get mowed!! I don't want to pay to play or watch. Both are necessary. Newcomers may not stick with it if strictly p2p courses exist. Free courses maintained by local municipalities or army corps of engineers are key to developing the sport and enticing people of all ages to "check it out". p2p has nothing to do with being a novice or skill level. I am fairly new to the game (18 months) and would gladly pay $10-$20 to play on a nice, well kept course. If it keeps out some of the red-neck bubbas that toss their beer bottles wherever, I'm all for it. I'll get off my soap box now. I think the only way are sport will become legitimized is if it has wide spread TV coverage. Are top pro's need to be paid like they are pro athletes. So yes I do think we need more pay to play course's like 40 dollars a day for a legit course that is well kept and playable. 7 to 15 bucks to play a professional course is crazy that's chump change. yes, kill disc golf for good! I live in upstate NY where I play any of a dozen courses, and have never paid a penny. 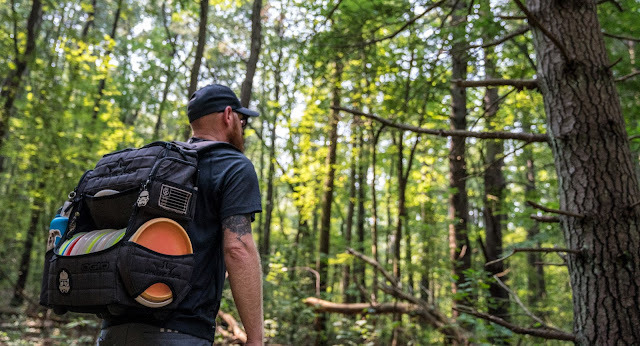 The disc golf culture here is FREE. And, I believe this one thing is what attracts many people to the game. The cost of ball golf is one of the reasons I have largely quit that game! The thought of paying never even crossed my mind. Until, I was visiting my son over Christmas... he lives on the northern edge of Houston, TX. I had brought along a couple of discs, hoping to introduce him to the game. We found the nearest course and drive there late in the day, hoping to get in 6-9 holes before dark. We were shocked to find that: 1. The course CHARGED people to play; and, 2. They were not allowing anyone else on the course that day, because it was too close to dark. The poor guy jumped when I laughed out loud. I thought he was joking. He wasn't. Long story short, we did not play that night. And, the weather turned terrible the rest of the week... so, my son still has yet to play! I totally GET the gist of the article. As an active member of a local club that is trying to keep up two courses, I know it DOES cost money. Funny thing is, our club always has the money we need to keep up the courses. We raise our funds thru yearly club fees and buyins for our weekly and monthly competitions. I do not think we NEED course fees in upstate NY. The game continues to grow here. And, the good news is, ANYONE can play! I built a Pay to Play course after my town shot down installing a municipal course. Let me break it down for you... the real estate taxes on 18 acres is in the thousands ($$$$) of dollars every year. I had to purchase a large tractor and mowing deck to mow the fairways, and move earth. ($35K) Concrete tee pads, reinforced with wire, and 4x4 frames run around $150 each, and every hole will end up with at least 2, sometimes 3, different tee pads. Quality Baskets installed run $400 each, and every hole gets two. Miscellaneous equipment like a cement mixer, brush cutters, smaller mowers, loppers, chain saws and blades, hand tools and fuels run into the thousands of dollars. Permits, Kiosks, Tee box signage, miscellaneous signage, OB stakes, scorecards, porta potty, trash removal, parking lot improvements, etc., run into the thousands of dollars. All told, to open a legit course needed a capital outlay of $27k without the tractor. I charge $10 a round, $20 for the day, and a $100 for a 13 month season pass. That's around 50 cents a day. I allow our Military Vets and first responders to play for free. And how do you put a price tag on having to deal with the public daily ? Instead of complaining about pay to play courses, how about thanking the owner for putting in the blood, sweat, and tears to provide a quality course. Fortunately, many, many, players come up to me and shake my hand and do thank me. And that goes a long ways. One more VERY important point. Having a pay to play course in your area siphons off excess, or crowded, over playing, of the municipal courses in the area. As well as giving those who find themselves turned away from their municipal course on any given weekend because of a closed tournament, another place to play. Here! Here! Sunnymede is right on! Our sport needs more people like him, not only to grow the sport, but to grow it into legitimacy. I played a p2p course up in Maine and it was extremely worth it! Looked like a PGA course. I totally agree with Sunnymede and there is something about playing on a course that is well kept and at the price of $10-20 it's well worth it! Also, Milo costs. Who doesn’t want to play at Milo? My wife and I like playing P2P courses we seek them out. The reasons are: only Disc Golfers are on the course. The people how own these course understand Disc Golf. No way are these people in it of the money. but for the love of the game. We try to support the course by buying Shirt, disc and minis with the course name on them. Play Whale Rock in Ca, Two Gray Hares in NM, Flip City in MI, or Rolling Ridge in Wi. And say they are not worth the money in play. We need more Great course like this to play.